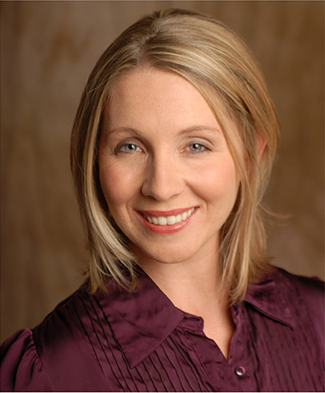 Robyn Berg is an Assistant Professor of Theatre at Radford University, where she teaches in the Performance Area. A Chicago native, Robyn also spent many years in New York City and Nashville as an actor, director, professor and teaching artist. She holds a BA in Theatre Performance from Bradley University (where she also studied abroad in London) and an MFA in Acting from the University of Florida (which provided her the unique opportunity to perform Lysistrata in Greece). Favorite acting credits include Nashville Shakespeare Festival’s Julius Caesar (along side NFL legend Eddie George), Treasure Island with Manhattan Children’s Theatre, Romeo & Juliet and Amadeus (opposite Tony nominated star Robert Cuccioli) at The Shakespeare Theatre of New Jersey, A Christmas Carol, Night of the Living Dead and Alice in Wonderland at The Hippodrome in Florida, The Merchant of Venice with Chicago’s Tinfish Theatre, and the title role in the musical Cinderella with Chicago Kids Company. She has also appeared on screen in multiple commercials, industrials and independent films. As a director, Robyn was honored to receive the Kennedy Center/American College Theatre Festival Excellence in Directing Award for Shrek at Lipscomb University, where she also directed Death of a Salesman, The Servant of Two Masters and Leading Ladies. Other experiences at the helm are Lilly’s Purple Plastic Purse, The Diary of Anne Frank and Dr. Seuss’ The Cat in the Hat at Radford University, Proof at Belmont University, Lil’ Abner and Goodnight Desdemona at Ballibay Fine Arts Camp in Pennsylvania and an original production entitled Hamlite: Half the Length, Half the Verse, Double the Laughs for Windsor Mountain in New Hampshire. She and 13 international teens toured the show as The New England Traveling Minstrels, playing venues such as Boston’s Faneuil Hall and at The Bread and Puppet Theatre in Vermont (even getting the chance to perform with their First World Insurrection Circus). Robyn has been active as a teaching artist for the Nashville Shakespeare Festival, the Tennessee Performing Arts Center (in the Art Smart program, Disney Musicals in the Schools program and as a leader of multiple Arts Integration Institutes for teachers), Stages on the Sound, IDEAS Drama and Marquis Studios in NYC, Greenlight Performing Company, Appletree Theatre and Pegasus (Players) Theatre in Chicago, Blue Lake Fine Arts Camp in MI and more.